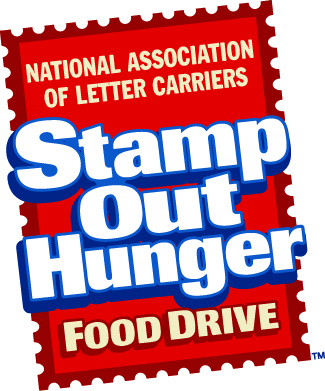 We hope you join us for the 27th annual National Association of Letter Carriers Stamp Out Hunger food drive! The great thing about Stamp Out Hunger is that participating is super easy and you can get involved in our mission without even leaving your home. Simply fill a bag with nonperishable food donations and leave it near your mailbox by 9 a.m. on Saturday, May 11 for your mail carrier to collect. All donations stay local and help Feed More, and our network of nearly 300 agencies, keep the shelves stocked with a variety of food options to distribute to our neighbors in their times of need.